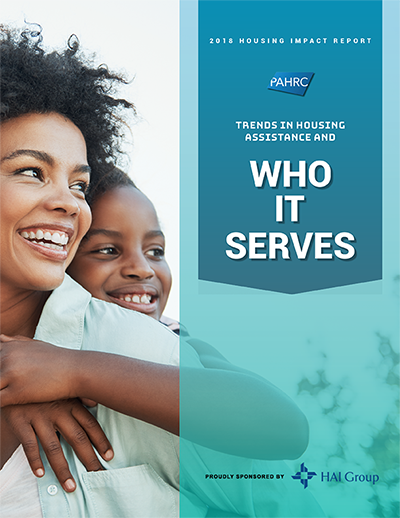 PAHRC produces a number of yearly research reports that examine key themes in affordable housing and provide updated statistics on the supply of housing assistance, those receiving assistance, and the impacts on residents and communities. In the US, there are 12 million very low-income cost-burdened households that could benefit from housing assistance, but do not receive, according to conservative estimates. A home that’s made affordable through housing assistance increases stability, improves health and education outcomes, boosts financial security, and can lead to economic mobility for low-income families. Public and Affordable Housing Research Corporation’s annual report, the Housing Impact Report (formerly known as the PAHRC Report), describes the latest research on the impact housing assistance has on families, adults, seniors, and children. PAHRC has worked closely with MTW agencies and other research institutions to produce a series of reports on the Moving to Work (MTW) program. As America’s Housing Policy Lab, the MTW program provides many avenues to study how housing can impact people and communities. PAHRC is engaged in a number of research projects and research collaborations on topics important in demonstrating the impact of affordable housing. What types of support do your residents need to exit federal rental assistance programs? New research from PAHRC finds that most residents who can work are, but they’re employed in our lowest-wage jobs and need training and childcare to access better-paying jobs. What types of support do your residents need to exit federal rental assistance programs? New research from PAHRC finds that while those who can work are, they’re employed in our lowest-wage jobs and need training and childcare to become economically independent.